The Savic Nestor Jumbo Covered Litter Tray with xxL dimensions is great for larger cat breeds. The generous interior and big swing door provides plenty of space for even the largest of cats. The hood, including the swing door can be completely removed which makes it easy to clean the tray. The clever details ensure that this spacious litter tray is a pleasant and hygienic place for your cat to do its busineΒ. The removable hood can be flipped back for easy acceΒ when cleaning the tray. The hood is attached to the tray with 4 clips so that it can also be removed completely which makes it simple to change the litter. The included carbon filter is inserted into the hood and ensures that no nasty smells escape. The filter should be changed at regular intervals. The Savic Nestor Jumbo Covered Litter Tray is perfect for timid kittens and nervous or anxious cats which have not yet got used to using a covered litter tray. You can leave the hood flipped up to begin with, until your pet is accustomed the new toilet. 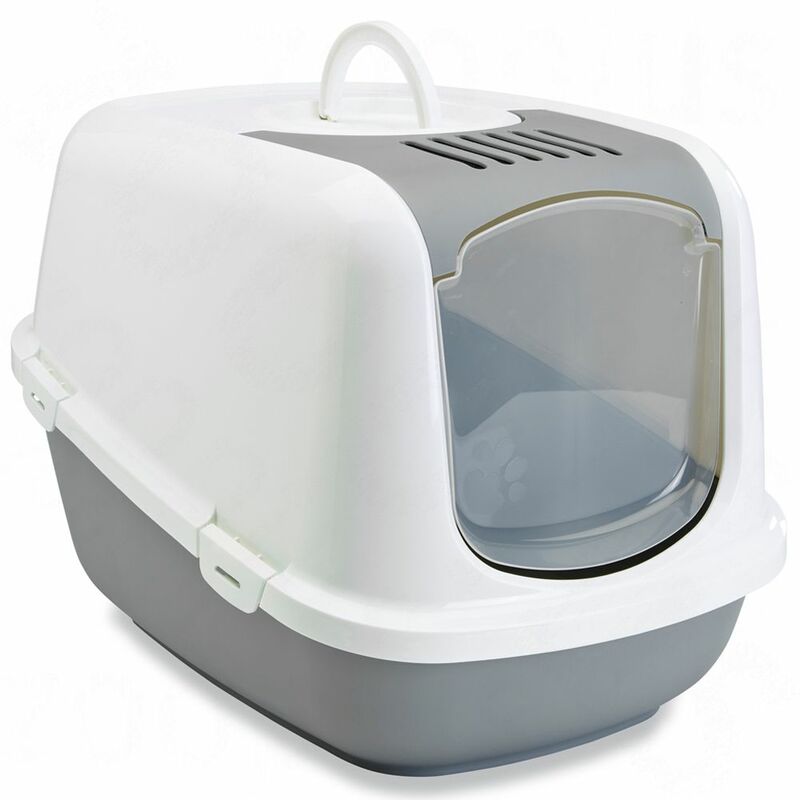 The Savic Nestor Covered Litter Tray xxL at a glance: Suitable for very large cat breeds Colour: light grey tray with white hood or burgundy tray with white hood Large, removable swing door Spacious interior Top opening cover Removable hood Integrated handle in lid 1 carbon filter included Made in Belgium Dimensions: Total dimensions: 66,5 x 48. 5 x 46.5 cm (L x W x H) Opening with swing door: approx. 25 x 26.5 cm (W x H) Tray height: front approx. 14cm, rear approx. 27cm Entry height: approx. 16cm Sizing for Savic Bag it Up Litter Tray Bags - Jumbo: Suitable for trays up to: 67 x 48 cm (L x W) Contents: 6 bags More information about Savic Bag it Up Litter Tray Bags can be found here: Savic Bag it Up Litter Tray Bags.